The Occupy Mars Learning Adventure is Going Online: What are the best doing? At least some online schools are not only meeting but far exceeding the achievement levels of students in traditional on-premise schools. Davidson Academy is one of the online K-12 schools demonstrating the potential online schools have to offer an outstanding education to high-achieving students. 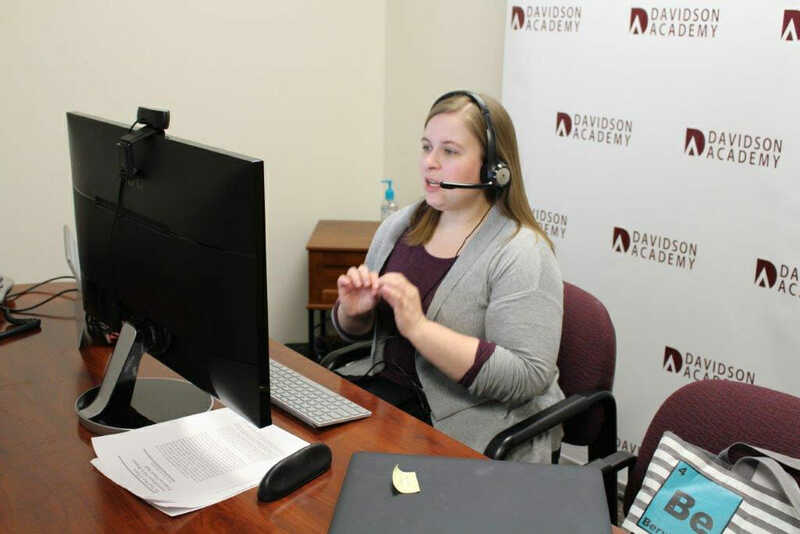 This week eLearning Inside News talked to Stacy Hawthorne, Director of Online Learning at the Davidson Academy in Nevada, to learn how they have built a high-achieving online school for profoundly gifted students. This is the second part of a two-part series (we published the first part of this interview on March 29). Cait Etherington: The Davidson Academy also has an on-site school. What sort of interaction do your on-site and online students have? Stacy Hawthorne: We currently have one course, Yearbook, that is co-enrolled. This course meets on Fridays and is taught by an instructor at the Reno school. During this course, Reno students meet in the same room while the online students attend using video conferencing software. When the whole class is working together, the video feed for the online students is projected on the main classroom display. When students are working collaboratively in groups, the Reno students log into the video conferencing software on their computers and connect directly with the online students in their group. Because we value the whole school experience for our students, we also offer opportunities for students to connect in non-academic ways. During the annual Davidson Academy Halloween costume contest in Reno, online students were able to join via video conferencing. Reno campus students shared their costumes via live video feed from Reno while Online students watched, then the Online students shared their costumes via the video feed for the Reno campus students. Students from both campuses enjoyed the opportunity to get to know each other in a less academic way. We are continuing to build in more opportunities like this. Right now both Online and Reno students are competing in an NCAA March Madness bracket challenge. CE: What factors support the success of your online students? SH: We have a full slate of support services for Online students including technology, counseling, advising, and college admissions services. Our counselors meet with all students regularly, spending time getting to know them. This is important so that every student knows that the whole staff cares about their success. Students meet once a semester with their advisor who helps keep them on track for graduation. We have a dedicated technology staffer whose primary responsibility is to ensure that students have a knowledgeable person readily available if they experience any technical issues or want to test technology before needing to use it in class. Lastly, all of our staff members are available by our internal instant messaging system any time a student has a question or wants to talk. CE: There have been a lot of reports recently about online schools underperforming. Why do you think so many online schools are failing? What advice would you give to new and emerging online schools to create the conditions for student success? SH: We put three years’ worth of research and design into building Davidson Academy Online. Many of the schools that are failing are looking to maximize enrollments and have less selective admissions processes. Our online learning readiness indicator and parent interviews are important parts of our application process and help everyone involved in the admissions decision ensure that online learning is the right choice for the student. We use a highly personalized model of online learning. For us, this means small class sizes with no more than 15 students in each class. All of our core courses meet using video conferencing software for two, 90-minute sessions each week. During these live, synchronous sessions students and the instructor have their webcams and microphones enabled so they can see and interact with each other in real-time. Live sessions are centered on cognitive discourse and provide opportunities for everyone to contribute. This type of approach to online learning helps both students and teachers to feel connected to each other and the school. Early proponents of online learning often touted the cost savings of online learning. We would caution new and emerging schools of entering into the field with the belief that it will instantly provide a financial return. First and foremost, online learning should be about providing students with a rich and meaningful learning experience, and staff with a rewarding professional experience. Online learning that meets this threshold is rarely going to require less financial resources and time commitment than more traditional models of education.